Victor LaValle, who wrote the above in his introduction to the recently rereleased Penguin version of The Sundial, is not alone in his effusive praise and strange feelings of and toward Shirley Jackson. She has a similar effect on most. H. P. Lovecraft may have been the most influential horror writer of 20th century America, but Shirley Jackson was the most highly esteemed by scholars and literary critics, and thus more the true heir to Edgar Allan Poe, whatever things like “true heir” means. Like Poe, Jackson was obsessed with the lurid, the morbid and the pathological, and, like Poe, but unlike Lovecraft, preferred to keep the outright supernatural elements in her work to a minimum. It’s not like she’s been overlooked exactly. It’s well documented the numerous luminaries who would visit the Hyman and Jackson home throughout the years. She was frequently published in The New Yorker and consistently published in trade magazines. Maybe misunderstood–and therefore under appreciated? Her reputation has emerged in recent years again. There are the Shirley Jackson Awards for excellence in “literature of psychological suspense, horror, and the dark fantastic” in which writers explore the fruitful territory between literary genre writing. Looking down from above with the perspective of five or six decades of both the historic and literary context, we should admire her resolve. To write what she did under the cultural and domestic pressures she must have faced is more than a little impressive. 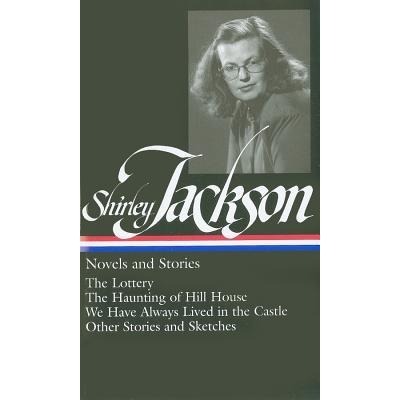 And when it comes to discussing Shirley Jackson the topic of who and how she compares often comes up. Many notable 20th century American authors–including Tennessee Williams, Carson McCullers, J. D. Salinger, Truman Capote and Jane Bowles–wrote about the the awkwardness of adolescence and young adulthood, but none with the same detachment as Jackson. This must be one of the reasons she is misunderstood and difficult to “place” among the “literary greats” of her time. Perhaps extra attention to the matter of the “greats” has been resuscitated since the recent printing of a Library of America version, Shirley Jackson: Novels and Stories, with 47 short stories and her two most heralded novels, which Joyce Carol Oates writes the introduction for. Whatever the case of where we place her among those who emerged as the literary greats of their time, much like with Poe, Jackson’s work lingers in the mind even long after it’s been read. You’ll find yourself compelled by her work, as complex as it is. Even as she died at the age of 48, I’m glad she gave as much as she did.